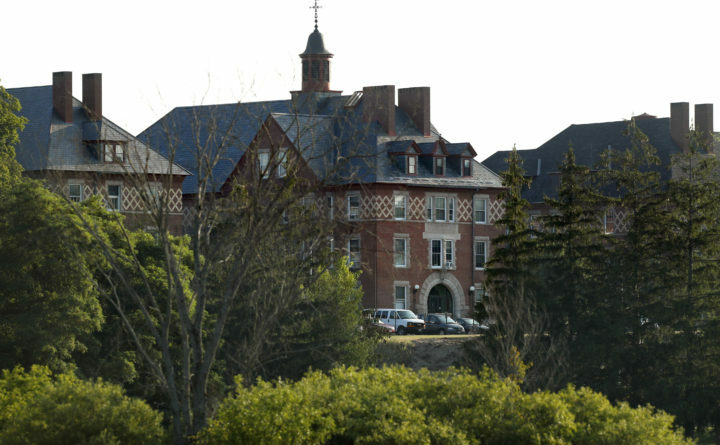 The Dorothea Dix Psychiatric Center is the site of a proposed new step-down facility in Bangor. After more than a year of refusing to implement Medicaid expansion because he didn’t like the funding source, Gov. Paul LePage plans to push forward with a contract for a new psychiatric facility in Bangor even though the retired judge who monitors the state’s mental health services has said that its funding source violates a court order. “If the funds are not an appropriate source then the department has until April at the earliest to identify an alternative funding source for the unit,” LePage spokesman Julie Rabinowitz wrote in an email to the Bangor Daily News. This “don’t worry about the funding” approach to the Bangor facility is the exact opposite of the governor’s objections to Medicaid expansion, which was approved by Maine voters last year. LePage has refused to implement the law — even after a court said the state must — because he said the funding sources identified by lawmakers were inappropriate. We don’t know because DHHS and the governor have shared little about their plans. This saga began five years ago when Riverview lost its certification from the federal government after reviews by the Center for Medicare and Medicaid Services revealed shortcomings in patient treatment and staffing at Riverview. The 92-bed center in Augusta treats and houses the state’s most acute mentally ill patients. It is the only state-owned facility to house patients who are deemed either incompetent to stand trial or not criminally responsible for their actions and who have been ordered by a court to be housed in a state mental health facility. Now, Wathen has raised red flags about the funding and the rush to sign a contract for the facility’s operation. However, with Wathen’s concerns added to the list of unanswered questions about the Bangor facility, this contract should be put on hold pending a more thorough and transparent review of the project and its funding.